NO rage goers or students attending the annual RAGE Festival allowed! This lovely house is all about location. It is to be found in the Seaside Longships area and approximately 500m walking distance from the Blue Flag Sanctuary Beach. The nearest grocery store is just 2 minutes drive away, while you can find a restaurant only 800m from the property. The famous Robberg Nature Reserve is only a 5km drive. Uninterrupted UPS power supply for TV, Wifi, Blu-Ray player and charging of cell phones, laptops and cameras in case of load shedding, as well as emergency light supply. The modern fully equipped open plan-kitchen features a separate pantry, oven, gas stove top, large fridge with freezer, microwave, dishwasher and a washing machine dryer combo. The beautiful garden is fully established and compliments the outdoor pool and outside barbeque gazebo with sun beds & outdoor furniture. There is additional free paved parking for 2 vehicles and 1 parking within the enclosed garden area. Plettenberg Bay has been nominated as one of Africa's Best Beach Destinations in 2012 in the World Travel Awards! You will never forget the first time you see Plettenberg Bay. Once named Bahia Formosa, or 'Beautiful Bay' by early Portuguese explorers, Plett is also called the 'Jewel of the Garden Route' - an Internationally recognised Natural Heritage area in South Africa, stretching from Storms River on the border with the Eastern Cape to the town of George. Surrounded by a mountain backdrop as far as the eye can see, Plettenberg Bay offers the best of nature , beaches and coastline, along with excellent accommodation, dining and tourist attractions. Plettenberg Bay is South Africa's premier holiday resort with magnificent beaches and weather to match! Simply known as "Plett" by the locals, this beach holiday destination is a firm favourite with South Africans and foreign visitors alike. Summer vacation, from December to February is very popular. The town is bustling up to May. Visitors begin returning for the Whale Season from July to November and then we are back to summer again. Plettenberg Bay lies on the spectacular Garden Route on South Africa's south coast 210km (130 miles) from Port Elizabeth to the east and approximately 600km (370 miles) from Cape Town to the west. The nearest airport is at George, 106km (62 miles) west. 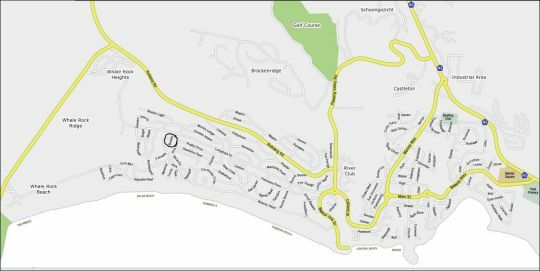 A drive from Cape Town or Johannesburg to Plettenberg Bay (see our self drive routes) makes the road trip part of an unbelievable holiday! 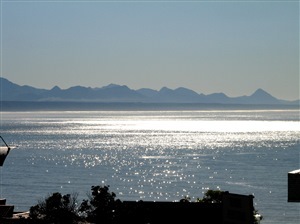 Plettenberg Bay is renowned for its hot yet pleasant summers and mild winters. The almost year-round sunshine has summer (October-March) temperatures rising to 27�C (80,6�F) and sometimes even touching the mid-thirties Celsius (mid-nineties Fahrenheit). Winters are mild; seldom going below 10�C (50�F) during the day. Rain falls in both summer and winter, mainly at night, giving Plett all year round green vegetation. One can expect to be changing clothes as the day progresses from the cool dawn through the warm day and into the cool night. 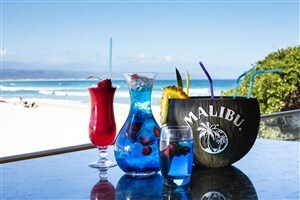 Rest assured though that in general Plettenberg Bay will greet you with a hospitable display of sunshine and temperance. Plett is the ideal place to relax on the beach. From the blue flag Robberg and Sanctuay Beaches, to the vibey Central beach and the out of the way quieter Keurbooms Beach, the sun worshipper is spoiled for choice. The Keurbooms Lagoon is a wonderful place to walk, canoe and boat, or let the kiddies play in the shallow warm water. Restaurants range from casual to highly sophisticated eateries. Browse ShowMe Plett's restaurant guide to see where you should eat out in Plettenberg Bay. 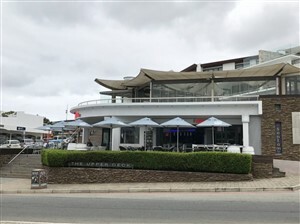 Plett probably has more high quality restaurants than most towns its size, but that is a result of Plett's popularity as an International holiday destination. You'll find excellent pizza, sushi, mouth-watering local fare and fresh seafood served everywhere from bars to upmarket country venues, to the beach-front and main street restaurants and markets in Plettenberg Bay itself including Al Fresco, Asian, Chisa Nyama (Braai Restaurant), Country Lunches, French, German Cuisine, Greek, Grills, Halaal, Indian, Italian, Kosher, Mexican, Mixed Menu, Portuguese, Seafood, Traditional African, Coffee Shops, Fast Food, Health and Juice Bars, Ice Cream Parlour, Pub Grub, Restaurants, Sandwich Shops and Tapas Bar. There are great sundowner watering holes as well as many top notch restaurants, Bars, Night Clubs and Late Night Venues, and there are a wide variety of beautiful handmade arts and crafts, art and sculpture, unusual clothing, Markets - Food, Craft and Flea Markets in Plett. Find outdoor or open air markets and indoor food and craft markets, flea markets, farmers markets, organic and other family fun, produce and art and craft markets in and around Plettenberg Bay and much more - sure to give satisfaction to the avid browser. boating, cruises, beaches, shopping . Plettenberg Bay is the ideal base from which to explore nearby The Crags, Tsitsikamma, Storms River, Natures Valley and Knysna and the many activities and attractions they offer. There are many wildlife sanctuaries in the area, where conservation is a serious business. You can interact with these animals at close quarters and find out about the challenges facing them. 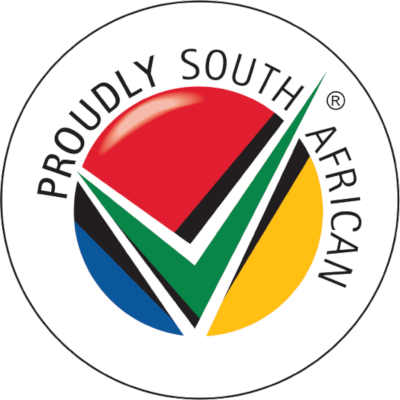 Plett is internationally recognized for its marine life. See vast schools of dolphin surfing in the waves, quite happy to share their domain with us. Equally at home in the bay are the 3000 seals, living on Robberg Nature Reserve. From July, the migration of the Southern Right Whale is eagerly anticipated. The calm waters of the bay are ideal for birthing and mating, and spectators are treated to wonderful displays. The whales remain in the bay until November. Plett is a veritable paradise for dolphin and whale watching.A walk on any of the beaches should provide great viewing, as do boat cruises and kayak trips. Our whole bay is a Marine Protected Environment. The property shall not be rented out to students or during the Rage festival for anyone participating in Rage activities (Rage goers). If breached, this shall be grounds for immediate cancellation of this lease and eviction of the tenant/s with no refund of deposit and/or rental. Christmas/New Year period, minimum booking of 14 days accepted. Rest of December minimum of 7 days accepted. NO Rage goers or students attending the annual RAGE Festival allowed!!! This lovely house is all about location. It is to be found in the Seaside Longships area and approximately 500m walking distance from the Blue Flag Sanctuary Beach. The nearest grocery store is just 2 minutes drive away, while you can find a restaurant only 800m from the property. The famous Robberg Nature Reserve is only a 5km drive. The fully enclosed house, ensuring privacy, consists of: 3 Bedrooms 2 Bathrooms 8 Seater dining room with inside braai Lounge area with a large smart 3D flat screen TV, satellite channels Blu-ray DVD player Free Wifi a Library Bar area with fridge and freezer Uninterrupted UPS power supply for TV, Wifi, Blu-Ray player and charging of cell phones, laptops and cameras in case of load shedding, as well as emergency light supply. The modern fully equipped open plan-kitchen features a separate pantry, oven, gas stove top, large fridge with freezer, microwave, dishwasher and a washing machine dryer combo. The beautiful garden is fully established and compliments the outdoor pool and outside barbeque gazebo with sun beds & outdoor furniture. There is additional free paved parking for 2 vehicles and 1 parking within the enclosed garden area.